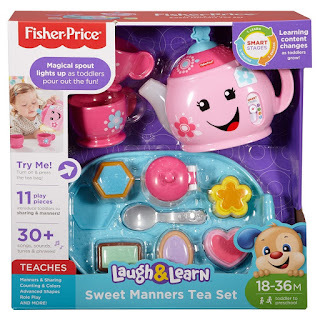 Target has the Fisher-Price Laugh and Learn Sweet Manners Tea Set on sale for $15.30, down from $17.99. In addition, now through April 13, when you choose free in store pick up you save an additional 15% bringing the price down to $13. As toddlers pour out their tea, the spout lights up and plays fun songs, sounds, and more! Press the tea bag button for even more fun songs and lights! 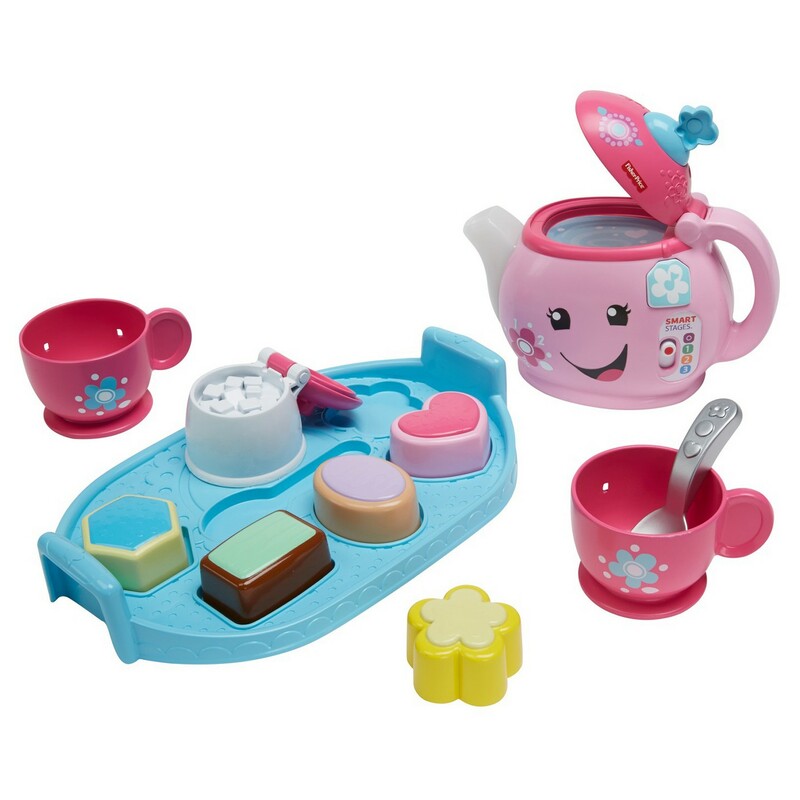 And with two tea cups, a sugar bowl, and a tray full of puzzle-play treats, this adorable tea set is perfect for sharing a spot of play with a friend.